This month we interview one of Memberium’s first official Certified Partner’s, Melodie Moore the founder and CEO of Business Tech Ninjas, a marketing agency that specializes in building Memberium based membership sites. Melodie was the very first official Memberium Certified Partner back in 2015. Since then Business Tech Ninjas has grown to 13+ team members and has built a TON of Memberium sites. In this video, Micah interviews Melodie about the services they offer and asks some inside questions about what it’s like to work with Business Tech Ninjas as a business owner. 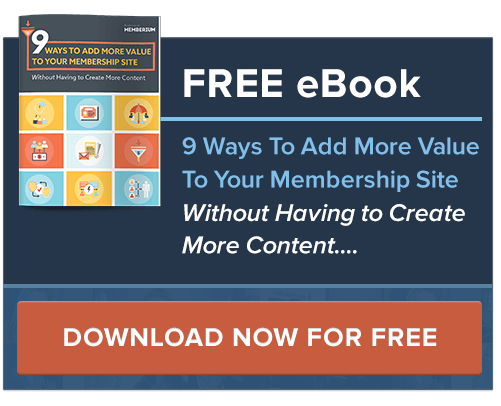 It’s easy to get distracted with all the possible things you can potentially include inside a new membership site. Melodie specializes in helping people figure out the right choices they should make when it comes to building a new membership site. If you’re interested in seeing if Business Tech Ninjas is right for your business, click here to schedule a time to talk with Melodie directly. What can Business Tech Ninjas help your business with? Business Tech Ninjas specializes in creating robust and profitable membership sites. Business Tech Ninjas helps business owners understand the best technical options for their businesses. You might want to have courses on your site, there are more than 3 different amazing plugins that will help you do this. You can also do this right within WordPress without any plugin. Which one makes the most sense for you based on time, money and your business goals? We work from the outcome you want, backwards to what we need to do now to get there. When building a membership site, or deciding on tech to use there many paths and options to choose from. We are here to help guide through the technical choices in order to choose the best option for where a business would like to go. We have a four-step process of: gather, create, refine and launch. During the gather phase, we work with you to fully understand your business needs and the exact steps to achieve it. Once we have a plan in place, the Ninjas go to work and create. We then refine, with your help to ensure that we are on the right path to achieve your business outcome. Then we launch, with the measurements of success that we put in place during the gather phase. We then come up with how to measure our success going forward and improve upon it. We believe in giving our clients the keys to their own kingdoms. We do this by building lean, in order for the systems we build to be easily maintained and built upon. We believe in educating our clients so that they can make better tech decisions going forward. We do this by providing recorded trainings and support periods after a project is complete on our end. We are more than service providers, we are partners in our client’s success. We take care of the tech to enable businesses to achieve greater heights. When it comes down to it, we take care of our clients because their businesses succeeding is our business.